After respective defeats in their opening fixtures, USA and Nigeria have no margin for error heading into Thursday’s games. Elsewhere, it will be fascinating to see if Spain can build on their emphatic opening win over Paraguay when they take on title contenders Japan. Germany, for their part, will be hoping to check in to the knockout phase with a game to spare, while La Albirrojita and Haiti are aiming to cause an upset. All told, it looks set to be an enthralling second day in Groups C and D.
Spain and Japan’s shared playing style and philosophy should be in evidence when the sides go head to head in Concarneau. Opportunities to measure themselves against the Nadeshiko always have some extra significance for Spain teams, and this week’s clash will be no different, particularly for Patri Guijarro, Aitana Bonmati and Carmen Menayo. The trio were all present when La Rojita overcame Japan two years ago in this same tournament, but they also tasted defeat against the same opponent in the final of the FIFA U-17 Women’s World Cup Costa Rica 2014, when current U-20 captain Moeka Minami and midfielder Fuka Nagano were among the opposition. 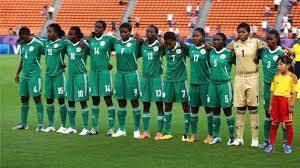 Having graced every edition of this event to date, USA and Nigeria are firmly established among the tournament elite. Indeed, the Stars and Stripes have claimed the title three times, while the Africans have twice been runners-up. For all that, the duo’s adventures in France risk being cut short if they cannot bounce back from opening-round defeats when they take on Paraguay and Haiti respectively. And while firm favourites on paper, their opponents have already shown here that backing down is not an option and can be expected to go all out for victory on Thursday. The Group D clash between Germany and China PR also looks a fascinating one, with the sides both victorious in their opening games and keen to book a quarter-final berth. Adding further spice to the mix is the fact that the pair have faced off three times before in this competition, with the Steel Roses yet to taste victory. The Asian side lost out in the 2004 final and again in the group stage in 2012, before managing a draw at the same stage in 2014.